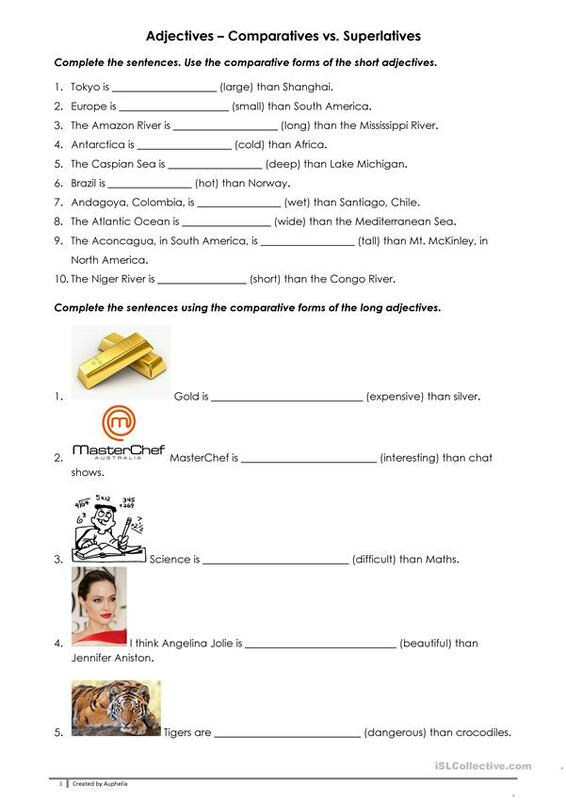 A worksheet on adjectives (comparatives vs. superlatives) suitable for pre- and intermediate students. This downloadable printable is a great resource for high school students and adults at Pre-intermediate (A2), Intermediate (B1) and Upper-intermediate (B2) level. 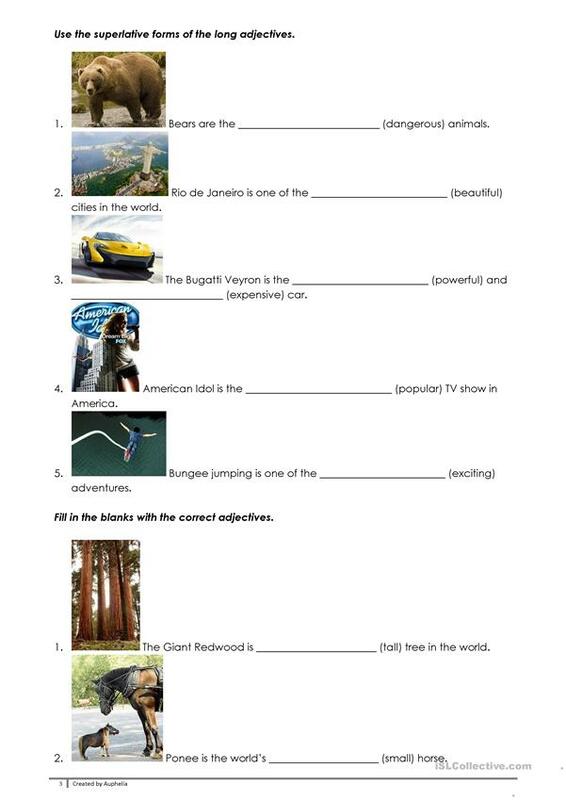 It is aimed at revising Adjectives: Order of adjectives in English, and is excellent for strengthening your class' Reading skills.